If you like the ghosts stories of M.R. James, you’ll love all the stories that inspired him! This ebook brings together the next 12 stories that we will be covering on the podcast, each of them recommended by M.R. James as a classic example of the genre. 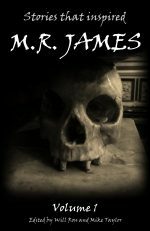 From early tales of real-life ghosts from Daniel Defoe, to Victorian classics from masters of the genre such as Sheridan Le Fanu and Charles Dickens, and even stories written by James’s contemporaries like E.F. Benson, these stories are sure to elicit a ‘pleasing terror’ in all fans of M.R. James! By buying the ebook directly from us, not only can you choose your own price, but you’ll be supporting the podcast, helping us cover our costs and keep the podcast free to listen to for all.